If you are nervous about having dental treatment, have a strong gag reflex or require surgical or complex dental treatment, Sleep Dentistry may be just what you need to help you keep your teeth in great shape. Fear of the dentist affects thousands across Adelaide and Australia, and can be so powerful that they neglect their dental care, rather than sit in the dreaded chair. Not only their teeth, but their general health suffers, as the bacterial load of the neglected teeth and gums spreads beyond the mouth, affecting other organs such as the heart. While under IV sedation, most patients experience a state of deep relaxation and partial or full memory loss for the period of time from when the drug starts to work until it wears off. Although many patients do report an experience similar to general anaesthesia, during sleep dentistry or IV sedation you do remain conscious and have limited verbal response and verbal request. IV sedation is performed here in our surgery by a qualified anaesthetist accompanied by a registered nurse. Throughout the procedure your breathing, heart rate, blood pressure and the amount of oxygen in your blood are closely monitored to ensure the procedure is carried out safely and effectively. After the sleep dentistry procedures are completed, you will be cared for in a recovery room, by a registered nurse, until you feel comfortable enough to be accompanied home by a responsible adult who is prepared to stay with you for 24 hours. For more information on sleep dentistry, please contact our practice today. 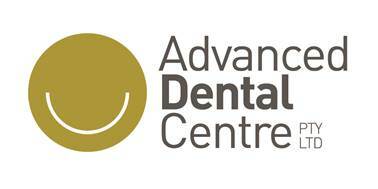 Call 8297 4777 or visit our dental clinic at Suite 1, 360 Cross Road, Clarence Park, Adelaide.